"Why don't they pass a constitutional amendment prohibiting anybody from learning anything? 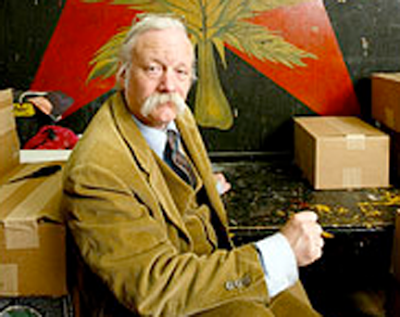 If it works as well as prohibition did, in five years Americans would be the smartest race of people on Earth." 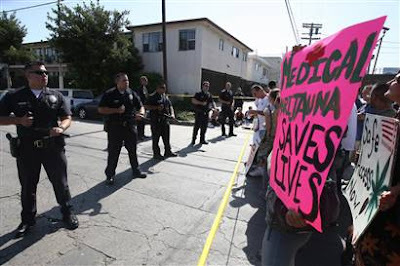 Medical marijuana advocates and users confront Los Angeles police [above] during a Drug Enforcement Administration raid of a medical marijuana dispensary on July 25, 2007. 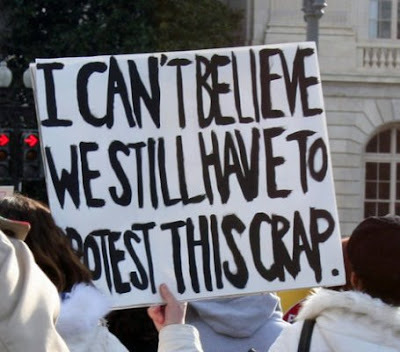 Years of campaigning, thousands of busts, lives ruined, and untold needless pain may be coming to a close in the US as it seems that the strange medical and legal taboo against medical cannabis may finally be over. The new attorney general Eric Holder, has announced that the DEA is being ordered to stop raiding state approved medical marijuana dispensaries. 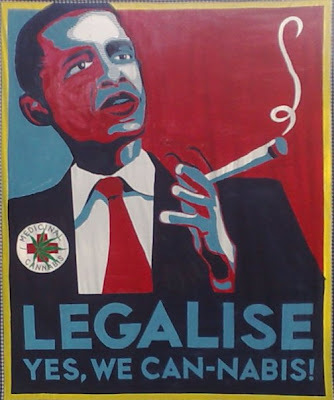 President Obama, who has admitted he was a regular teenage marijuana toker, said during the presidential campaign that he supported the controlled use of marijuana for medical purposes, saying he saw no difference between medical marijuana and other pain-control drugs. • This is a dramatic, although not unexpected turn about for Federal government policy. So dramatic that the official White House web site for drug policy has not yet been up dated. The Bush era Drug War propaganda which denied the medical value of cannabis is still there. Thankfully it is now just historical evidence of past ignorance and bigotry. Kelloggs share price has crashed ever since they sacked Michael Phelps for toking on a bong, and were immediately hit with a boycott by cannabis users worldwide. The 'cannaphobic' decision by Kelloggs to sack Michael Phelps has proved to be a well deserved disaster bong. According to The Vanno Reputation Index, which monitors the public image of leading corporations, out of the 5,600 company reputations Vanno monitors, Kellogg ranked ninth before it rudely snubbed Phelps. Now it's ranked 83. 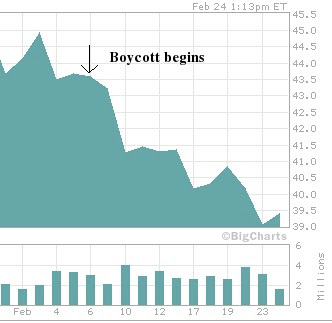 Of course Kellogg's share price drop may not just be due to the cannabis boycott, but the main stream bad publicity for Kelloggs it has generated has certainly added to Kellogg's general credibility crunch crisis. Kelloggs need to realise that indulging in Reefer Madness is bad for business, and it is just not healthy for the individual or society, but they can join a treatment program.